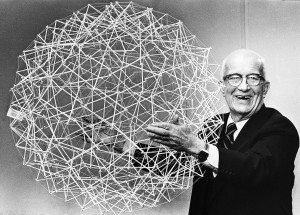 If there is anything that forms the foundation underneath the vast legacy of Mr. Buckminster Fuller, father of the geodesic dome home, it is the quote from “I Seem To Be A Verb“, above. This small shift in perspective provides the fuel for Fuller’s incredible influence. To him, we are not nouns, isolated and definite—we are verbs. As verbs, we must always be doing an action, an action that implies continuous responsibility. Complacency and indolence undermine our very nature, blinding us to the functioning of the world, a wholly inexcusable state for this visionary of a man, preferably and lovingly known as Bucky to the millions he has so endeared himself to. Perhaps of all human actions, the most significant and long-lasting is to build: observing, morphing and organizing raw materials into structures. The structure is the fundamental intermediary between man and environment—we could not survive without it. Our understanding of nature allows us to design and organize materials to our benefit: keeping the rain off our heads, creating warmth and coolness where desired, proving a space for all the complexities of life to unfold. It would be inappropriate to imagine man without including the structures surrounding him, whether those structures be condos or skyscrapers, tiny homes or geodesic dome homes! 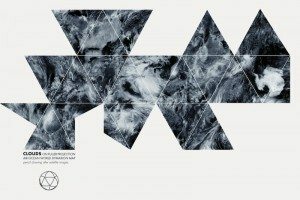 As society moves through the 21st century we are confronted with a pressing dilemma: the material we use to create and maintain our structures is finite and depleting, while the overuse of that material is leading to destruction of our biosphere. 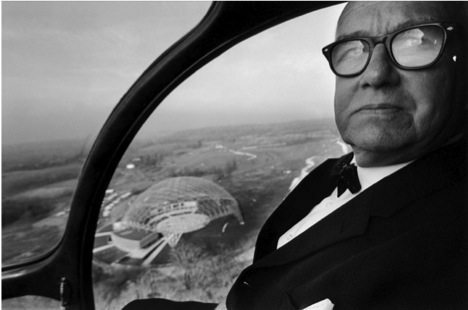 Twentieth century American philosopher, architect, designer, inventor and author Bucky Fuller, foresaw this dilemma and dedicated his life’s work to bettering the quality of life of all people everywhere by “applying the principles of science to solving the problems of humanity.” This principle was the impetus behind the geodesic dome home. 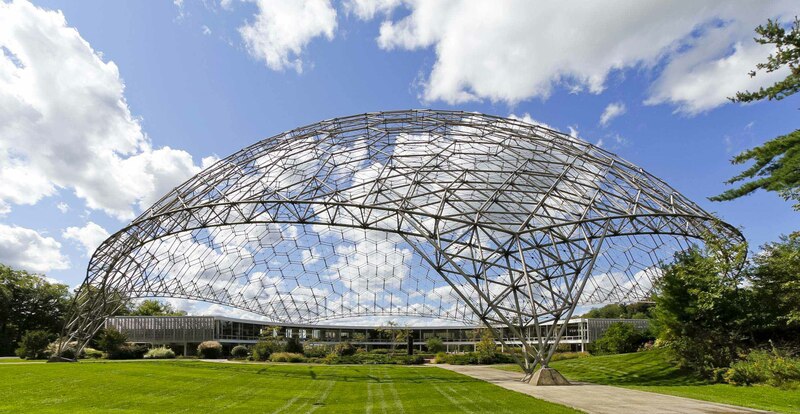 Quintessential among his creations is the geodesic dome, precursor to the geodesic dome home, a symbol of his entire philosophy put eloquently into practice. It is this hyper-efficient, inherently strong, naturally occurring structure that inspires our own patented hybrid geodesic dome home designs at Envirohaven™. Design is perhaps the most useful tool for solving large scale problems. Design, beyond product, is what has the power to create a better future for more people in more places. Bucky’s life is an incredible mosaic of archetypal 20th Century America: World War I, Chicago meat packing industry, The Great Depression, a Harvard education, the devastating loss of a child to polio and Spinal Meningitis and destitute living conditions of a young family out of work, a condition that forever haunted Bucky for its potential influence in his child’s death . In 1927, at age 32 and in an all-encompassing bleak and helpless state, Bucky decided to embark on “an experiment to find what a single individual [could] contribute to changing the world and benefiting all humanity.” From rock bottom he gained the motivation to build his incredible legacy—a legacy that is becoming even more valuable as we move into the 21st century. Bucky happily dedicated his life to promoting better design in all areas of human life, hoping to inspire us to create a better future for our children to inhabit. This legacy forms the foundation on which we at Envirohaven™ stand and from which we still gather our inspiration. Our passion is our mission, and a continuation of Fuller’s work: “Striving to make sustainable living both desirable and obtainable to more people in more places.” There is no reason comfortable, durable, and efficient structures can’t be accessible all people in all places. There is no reason that human societies must take so much from the biosphere and leave such waste. Our constructive solution to this ideal is The Haven™. Bucky confronted some of the largest problems facing the world in two ways. First, by doing more for less; a very simple and powerful principle which he coined as “ephemeralization”. Second, observing nature’s systems as they transform and pinpointing the most basic patterns underlying nature’s design, an area of study he developed into an entire discipline called “Synergetics”. Approaching modern day problems through these two focuses (studying synergetics and practicing ephemeralization) allowed Bucky to dive straight into productivity. Throughout his career he created an incredible wealth of design solutions foreseeing a world long before the necessity of his time. 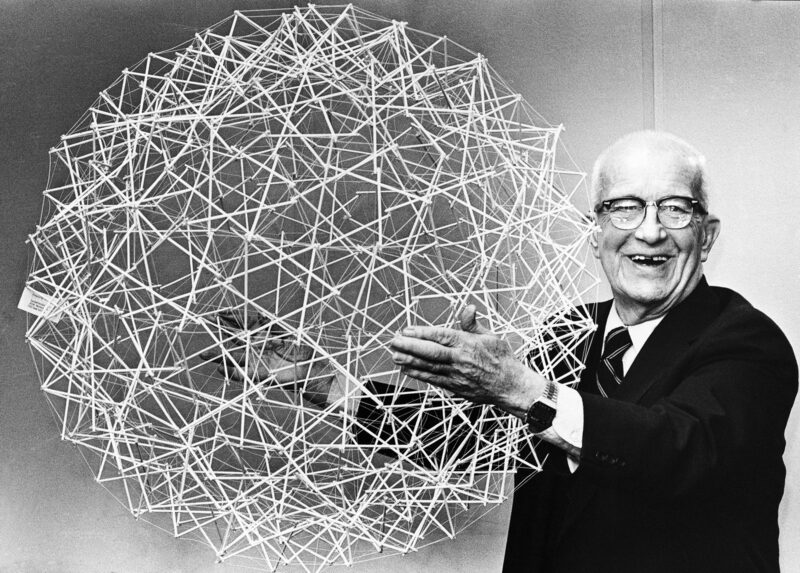 He imagined a plethora of structures that inherently use less material with more benefit, including 28 patented designs of the geodesic dome, the Dymaxion Car and the Dymaxion House. Before his invention of the Geodesic Dome Home, Bucky designed the Dymaxion House as a way to solve the need for a mass-produced, affordable, easily transportable and energy efficient house. 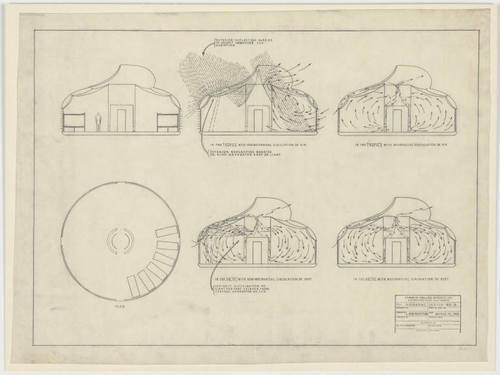 Plans for the airflow schematics for the spinning Dymaxion House; precursor to his Geodesic Dome Home design. Bucky described the motivation behind his life’s work as:”the search for the principles governing the universe to help advance the evolution of humanity in accordance with them… finding ways of doing more with less to the end that all people everywhere can have more and more.” Perhaps the most important aspect of Bucky’s work was not the intelligence or beauty or productivity of his creations, but the underlying pure and selfless heart, a motivation that was intimately connected to the realities of all people everywhere. As a creative, intelligent species, he believed that we have the power to design systems have no limit to efficiency—that with continued understanding we can provide increasingly more output with increasingly less input. 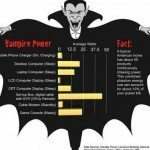 In accordance with his view on human nature, he felt that “there is no energy crisis, only a crisis of ignorance.” The information we need to build a healthy, sustainable, intelligent society for all people everywhere is at our fingertips: the principles are there, they just need to be put into practice. Following his own good advice, Bucky constantly reminded us not to “be preoccupied with the negative, be preoccupied with the constructive.” We at Envirohaven™ take this advice seriously and have dedicated our work towards this powerful ideal. We owe the Haven™ design to Bucky, the man who fearlessly embarked on a mission to design a more beautiful, intelligent and healthy future for all humanity. 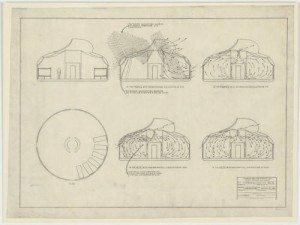 Our utility patent calls the Haven™ a hybrid geodesic dome home. As the next evolution of Bucky’s design, the Haven™ creates even more function with even less materials than the original geodesic dome home design. 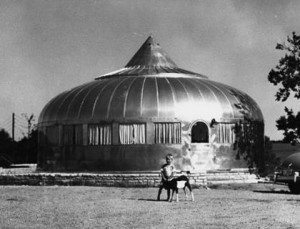 By approaching the geodesic dome home ideal from a builder’s perspective, the Haven™ retains the strength and durability that Bucky foresaw, while simplifying the concept to encompass all the synergistic elements of his Dymaxion House. The Haven™ is truly an evolution of Bucky’s concepts. Be a verb. Design a better future! Runner up from a thoughtful and stunning Bucky inspired open art entry at the Buckminster Fuller Institute. Check out this and other provoking projects that take Bucky’s principles and apply them across a huge breadth of disciplines.